I came across your blog thru a link on FB this morning and have enjoyed reading many of your posts. I was in your store in June and was very impressed with it. I live in southern Alta. So had only been in it once before several years ago. I just met Bev Rinehart last week at Sparrow Studioz in Edmonton where we were taking classes from Claudia Pfeil from Germany. It was a very exciting week. 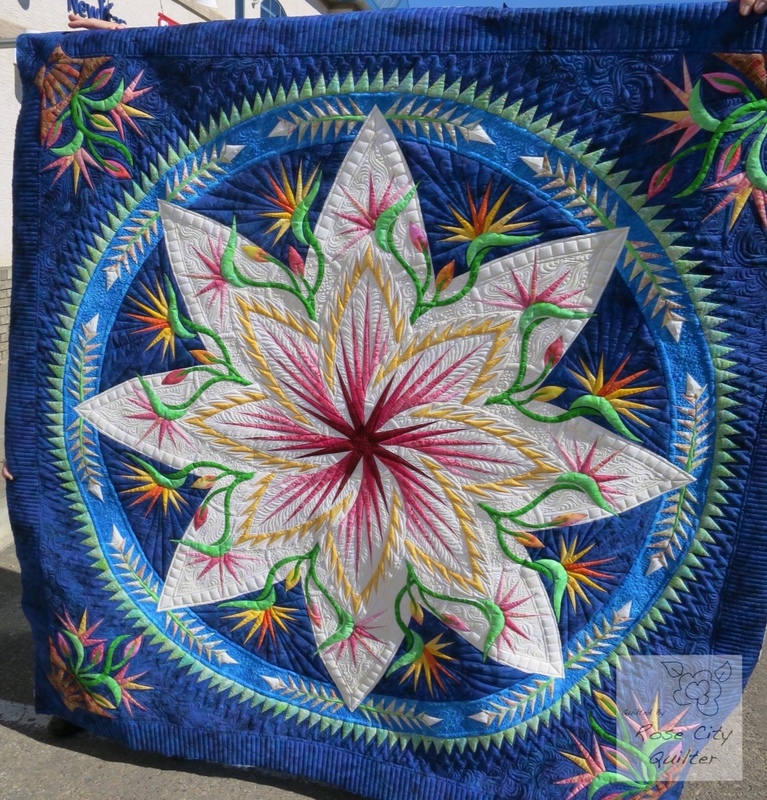 I have a Lenni by APQS, and I have certainly enjoyed seeing your quilting designs and finished quilts. I will be following you and Bev from now on. I am interested in the Circle Lord template system, had not heard of that before, will have to check it out. Thanks for a great blog! Sorry I missed you! I so wanted to take Claudia’s workshop, but had another commitment, glad you enjoyed it!